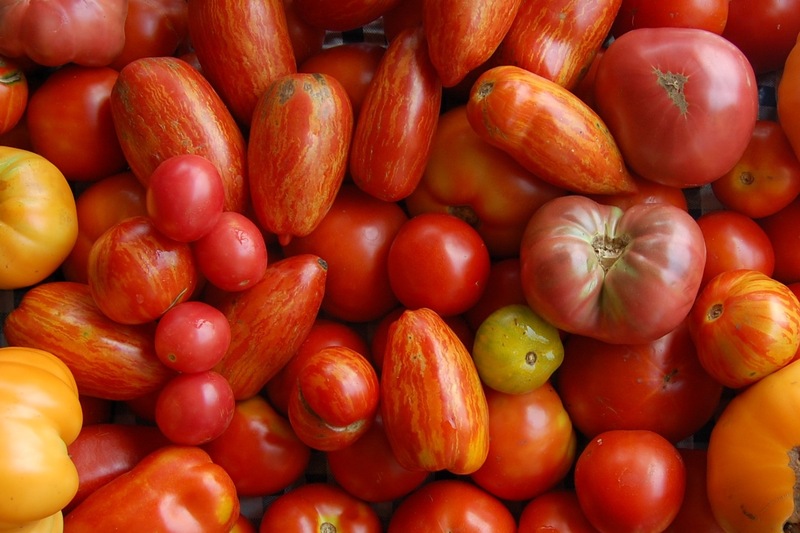 Community Supported Agriculture (CSA) is the heart and soul of Blue Moon Community Farm. We are not just growing vegetables, and our members are not just buying them. 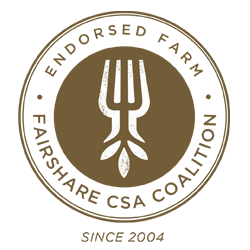 We are joined together in an effort to eat well, know the face and the story of the food we eat, and share in a relationship with the land. 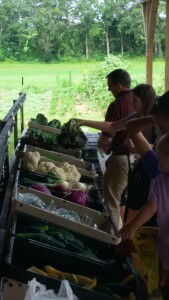 It allows us to grow the best produce that we possibly can, knowing that we have the support of a community of eaters. The result is the best farming, the best food, and the best relationship we can have with the world around us. CSA Members pledge financial support through their membership, and in turn receive a great value in certified organic vegetables, herbs, and fruits. We have an array of CSA options to consider. Join us in 2019! 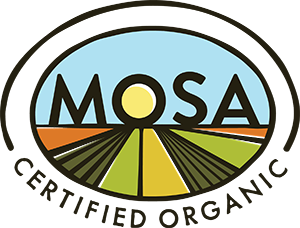 On-farm CSA Program --Shares Available for 2019! This is our most popular and most traditional CSA program. Members visit the farm to collect their shares, and have the opportunity to see the change of seasons and life of the farm firsthand. Late Fall Shares: Our favorite share! Extend the harvest season into November with 4 more weeks of Fall favorites, including greens from our hoop houses, onions, garlic, squash, root vegetables, and other hearty crops. Apple Shares: We partner with the organic orchard Atoms to Apples in Mt. Horeb to provide 2 Apple Share Options! Our 4-week share coincide with the main CSA season, and our 8-week share runs through the Late Fall Share season as well. U-Pick Opportunities: We offer U-Pick herbs, flowers, and canning vegetables at no additional cost to our members. It's a fun way to add tremendous value to your share and connect with the farm! Farm Events: Our Annual Spring Open House and Fall Harvest Party are popular events, and additional events are in the works! Farm-raised Meats: We offer you the option to purchase chickens, turkeys, and pork cuts raised on pasture and organic feed here at the farm. 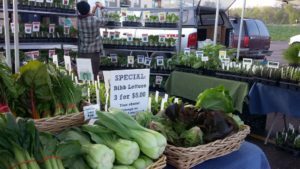 CSA Market Share --Shares Available for 2019! Our Market share program offers our customers at the Westside Community Market an opportunity to support the farm at the start of the growing season by paying ahead for their season of market shopping. This is a free-choice share, subject to market availability. Members shop from a prepaid card at the stand, and enjoy other benefits of being a member of the Blue Moon community. NOTE that our Farmers' Market stand is at the Westside Community Market in Madison, not at the farm. Curious what vegetables you might see at our market stand? View Market Offerings by Season!